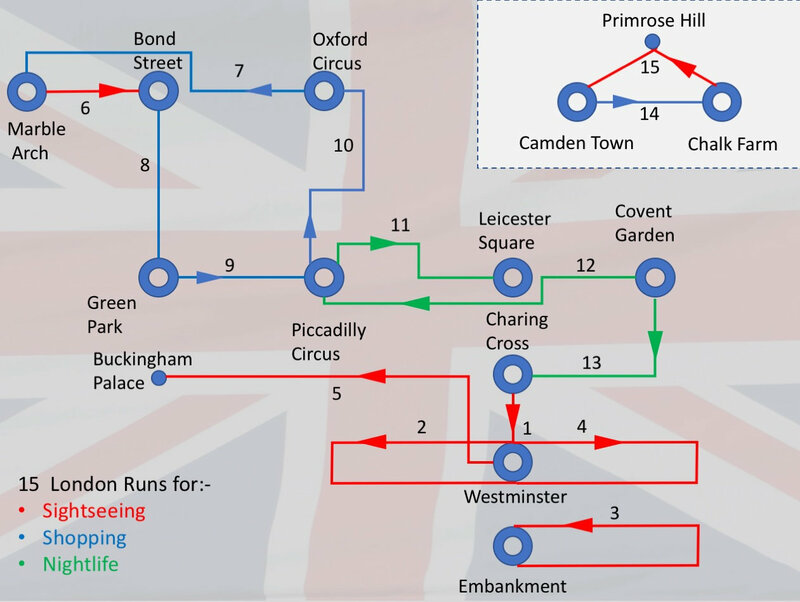 These YouTube London runs have been designed to help you get to know Central London quickly and easily by showing you the best Central London shopping routes, London sightseeing routes and London Nightlife routes. These hyper-lapse videos show you London at speed – as if you were the fastest man in the world – or my Whippet. However, you can go at your pace as they are primarily intended to help you explore and navigate around the city in an informed way. For some of the shopping, sightseeing and nightlife routes, the time of day will dictate whether you can run the route as most places in London quickly get crowded. However, you should be able to run most of the routes in the early morning -(especially on the weekends), although you still have to be very careful of traffic, and other pedestrians. Here are the cover images for each video. 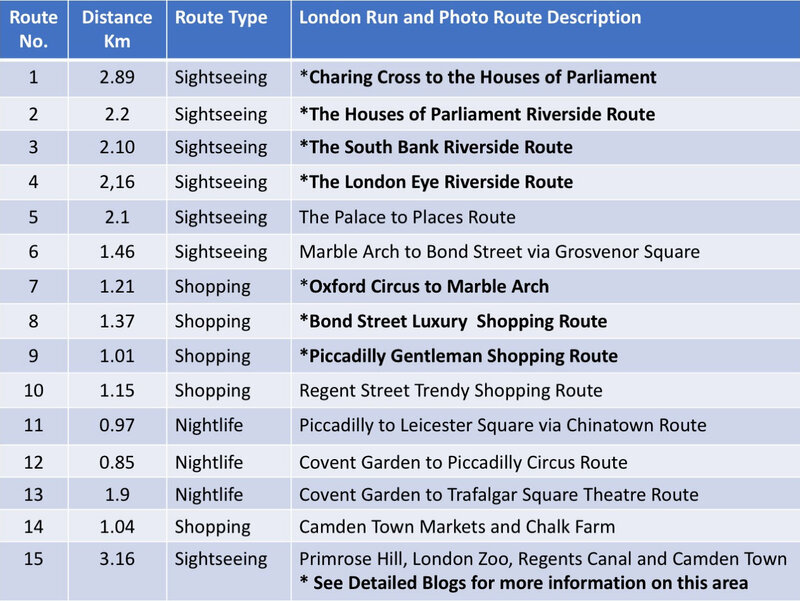 This first set of ‘London Runs’ concentrates on Central London, and the shopping, sightseeing and nightlife routes within it. The length of each run is between 1 and 3.5 Km, but many can be combined to produce a longer run – see examples below. Route 1+15 for a 4.2Km Run Around Camden.